All applicants must apply through the Yale Student Grants & Fellowships database. Awards will be announced after April 15th. MacMillan International Dissertation Research Fellowships support Ph.D. students engaged in international research on their doctoral dissertations. The fellowships provide up to $18,000 for the academic year and may be combined with other external or internal awards, subject to the Graduate School’s policies on holding multiple awards. Each Yale Ph.D. student who meets the eligibility criteria will be guaranteed one international dissertation research fellowship for research to be conducted outside of the United States. Proposals will be accepted from registered Ph.D. students who have completed all pre-dissertation requirements before the deadline. To accommodate for various prospectus defense schedules, the fellowships have two deadlines: May 1, 2019– for dissertation research during Summer 2019 and AY 2019-2020; and November 15, 2018 – for dissertation research during Spring and Summer 2019. Yale Ph.D. students in the Graduate School’s Ph.D. granting departments and programs in the Humanities and Social Sciences (including programs based in the professional schools) are eligible to apply. NOTE: Students in the Biological Sciences, Physical Sciences, and Engineering & Applied Sciences divisions are ineligible for this award. The MacMillan Center Pre-Dissertation Grants provide funds to Ph.D. candidates for pre-doctoral dissertation research generally outside the U.S. addressing international relations, history or the social sciences. Grants are for exploration of sources and general feasibility of a proposed topic. Master’s students in the African or European and Russian Studies Master’s Programs are also eligible to apply. Awards are up to $5,000. The Coca-Cola World Fund at Yale provides summer travel grants for graduate and professional student projects involving applied research or internships overseas. Projects must focus clearly on the intersection of at least two of the following fields: international law, international business or management, or international affairs and public policy. Grants are administered by the MacMillan Center. The Coca-Cola World Fund selection committee is comprised of representatives of the MacMillan Center, the Law School, and the School of Management. Awards are up to $6,000. Council on Latin American and Iberian Studies Fall Semester, Winter and Spring Break Travel/Conference Awards are available to Yale Graduate and Professional School students to help defray travel costs for research trips or trips to present at conferences in or about Latin America, Spain, and Portugal. Preference is given to members of the CLAIS Graduate and Professional School Student Network. See: https://clais.macmillan.yale.edu/academics/graduate-program/graduate-student-affiliates-network. Awards will be up to $500. Dreyfus Fellowships are for Yale graduate and undergraduate students who are children and grandchildren of U.S. Foreign Service Officers. Preference is given to students whose studies focus on international affairs. Fellowships are provided by an endowment created from a bequest of the late Ambassador Louis G. Dreyfus, Jr. that is administered directly by the Diplomatic and Consular Officers Retired (DACOR) - Bacon House Foundation. The MacMillan Center serves as an on-campus liaison. Awards range from $5,000 to $10,000. There is no restriction as to field of study, but for graduate and professional school applicants, if there are many applicants, preference will be given to students in a field related to foreign affairs and for study toward a master’s degree. Visit www.dacorbacon.org for application and information. The MacMillan Center invites Canadian citizens enrolled in a doctoral program in the Yale Graduate School or in one of Yale’s Professional Schools AND Yale students of any citizenship planning on continuing their education at the doctoral level at a Canadian university to apply for the Trudeau Foundation Scholarship. Providing up to $60,000 per year for up to four years plus travel support funds, this exciting opportunity is sponsored by the Pierre Elliott Trudeau Foundation. It is awarded to students in the social sciences or humanities whose doctoral research is related to one or more of the Foundation’s four themes: Human Rights and Dignity, Responsible Citizenship, Canada in the World, and People in their Natural Environment. Yale has been invited to nominate 6 candidates and the MacMillan Center is managing the nomination process with the Graduate School. Individual students must submit near final draft applications for Yale review. Once confirmed as one of Yale’s nominees, the individual student will be responsible for submitting the final complete application to the Trudeau Foundation. To date, the Foundation has offered scholarships to students in the following fields: anthropology, communications, criminology, law, economy, history, literature, philosophy, religion, environmental sciences, political sciences, social sciences, sociology, and the arts. East Asian Studies Summer Language Mini-Grants support the summer language study of Japanese, Chinese and Korean. Master’s students, Ph.D. students in the Graduate School of Arts and Sciences, and graduate students in the professional schools are eligible. Grants will range from $1,500 to $6,000 and may be applied to tuition, room and board at summer language programs, as well as expenses in hiring tutors for specialized, advanced language training. Priority is given to students who must undertake summer language study to meet specific degree requirements. East Asian Studies Summer Travel and Research Grants support graduate student summer field research or other forms of pre-dissertation preparation in East Asia (China, Japan and Korea). Master’s students, Ph.D. students in the Graduate School of Arts and Sciences, and graduate students in the professional schools are eligible. Grants range from $1,500 to $8,000 and can be applied to travel, room and board, and other legitimate research expenses. Priority will be given to students with demonstrated long-term academic commitment to East Asia, or those who need first hand exposure to Asia to complete a course of academic study. East Asian Studies Field Research Grants. The Council on East Asian Studies offers grants to aid Yale University graduate students in the Arts & Sciences who expect to be engaged in research on their doctoral dissertations during the summer and/or next academic year. Grants are for research generally outside the United States and are available to registered Yale graduate students who have completed, or will complete, all pre-dissertation work before the next academic year. The approved dissertation research must focus primarily on China, Japan, or Korea. Because grants will, in most instances, be supplementary to support provided from the Whitney and Betty MacMillan Center for International and Area Studies at Yale (MacMillan Center) or outside resources, the usual awards will not exceed $7,000. Students who have applied to other sources of funds (both within Yale and at the national level such as ACLS, SSRC, Japan Foundation, and Monbusho) and have been turned down may be eligible for a maximum grant of $15,000. The Georges Lurcy Trust will provide one fellowship during the academic year to a Yale Graduate or Doctoral student of exceptional merit whose dissertation addresses an aspect of French Studies and requires a year of research in Europe, specifically France. The amount of the stipend for is expected to cover a twelve month period. One award up to $25,000. European Studies Council Fall Semester, Winter, and Spring Break Travel/Conference Awards are available to Yale Graduate and Professional School students to help defray travel costs for research trips or trips for conferences relating to Europe, East Europe, or Russia. To be eligible for this award, applicants must be members of the European Studies Council’s Graduate Fellows network. See: https://europeanstudies.macmillan.yale.edu/people/european-studies-graduate-fellows. Awards will be up to $500. European Studies Grants for Language Study. The European Studies Council awards grants for language study in amounts up to $3,000 for graduate students at Yale to support intensive structured training in a modern European language during the summer. Preference will be given to Ph.D. students pursuing area studies dissertation research related to Europe. Students who have graduated before the proposed summer of study are not eligible. The European Union Studies Program invites applications for the European Union Studies Summer Grants from graduate and undergraduate students whose work or research involves the European Union or some aspect of European integration. Grants are available for Ph.D. candidates who wish either to determine the feasibility of a dissertation topic or conduct research on that topic. Grants are also available to European and Russian Studies and IR Master’s students at the end of their first year of study. Grants are available to undergraduates who wish to conduct research or work in an internship related to the EU during the summer before the junior or senior year. The Russian Studies Program of the Whitney and Betty MacMillan Center for International and Area Studies announces the availability of Russian Studies Pre-dissertation Research Grants to aid graduate students expecting to be engaged in research in Russia on their pre-doctoral dissertation. These are for exploration of research sources and general feasibility of a proposed topic. Awards can contribute to the cost of travel, research, and living expenses consistent with the standard of living in the host country. Awards are up to $5,000. As well, as Russian Studies Program Dissertation Grants to aid graduate students expecting to be engaged in research in Russia on their doctoral dissertation during Spring 2019, Summer 2019, or academic year 2019-20. Applications will be considered from registered graduate students who have completed, or will complete, all pre-dissertation work before their proposed project timeline. Awards are up to $10,000. Graduate students in International Relations, the Humanities, Social Sciences, and History are eligible to apply. Masters students are eligible only if admitted to and scheduled to matriculate in a Yale PhD program. Applications must relate to a potential dissertation. Foreign Language and Area Studies Fellowships are funded by the U.S. Department of Education, Higher Education Act, Title VI. Fellowships are available to graduate and professional school students whose academic work includes foreign language study and whose career plans include teaching, public service or business related to European Studies. FLAS fellowships are available for the summer and for the academic year. Eligible languages include: Czech, Dutch, Finnish, French (Graduate student only), German (Graduate only), Modern Greek, Polish, Portuguese, Italian, Russian, Hungarian, Romanian, Serbo-Croatian, Ukrainian, and Spanish (Graduate only). Only U.S. citizens or permanent residents of the U.S. are eligible to apply. 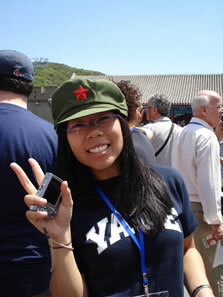 Academic year fellowships are for beginner through advanced language study at Yale. Academic year fellowships support $18,000 tuition and provide a $15,000 stipend. Summer fellowships are awarded for intensive language study with an approved program either domestically or internationally. All students must apply through the Student Grants and Fellowships database. Non Yale students can apply for summer only. Fox International Fellowship Program supports research exchanges between Yale and the Free University of Berlin, Moscow State University, Sidney Sussex College of Cambridge University, The University of Tokyo Graduate School, Fudan University in Shanghai, PRC, Institut d’Etudes Politiques de Paris, El Colegio de Mexico, Jawarhalal Nehru University in Delhi, Bogazici University in Istanbul, Tel Aviv University, University of São Paulo, University of Ghana, Cape Town University, University of British Columbia in Vancouver, Australian National University and University of Melbourne, The University of Copenhagen and Copenhagen Business School, National University of Singapore, and University of San Andrés for graduating seniors, graduate and professional school students conducting independent research on topics related to international relations and global affairs, environmental policy, public health, business and finance, social sciences, economics, political science, law, and contemporary history, with preference for topics of contemporary, applied and/or institutional relevance to enhancing the world’s peace and prosperity. All fellowships provide expenses for airfare and housing, a stipend for living expenses, as well as some in-country travel related to research. View alumni. The Ganzfried Family Travel Fellowship provides support for undergraduate and graduate students on all subjects related to communal and religious tolerance and understanding, security and cooperation, natural and economic resources, environmental, scientific and technological collaboration and development, communication, culture, gender and family in Israel or for academic work elsewhere in the field of Jewish studies. Amounts can vary up to $2,500. The Council on Middle East Studies invites applications for the Çağatay Summer Travel Fellowship for research in Turkey. This Fellowship is made possible through a 2007 gift from Selma Çağatay-Searfoss. The general purpose of the fellowship is to increase understanding of Turkey among Yale students, with a focus on culture and language. Open also to projects on society, economics, politics and other areas of interest. Awards are up to $3,000. The Gilder Lehrman Center for the Study of Slavery, Resistance, and Abolition at The MacMillan Center invites applications for the Summer Graduate Research Fellowships competition. The general purpose of the fellowships is to support research projects on slavery, resistance, abolition, or their legacies. Projects may focus on historical or contemporary issues involving the United States or international regions. Fellowships are available for research in the United States and internationally. Fellowships up to $3,000 will be awarded for relevant research expenses to current Yale graduate students at both the Masters and Doctoral levels. Applications from graduate students from the Yale professional schools will also be considered. The Charles Kao Fund supports grants to students of Yale College (including graduating seniors), graduate students in M.A. and Ph.D. programs in the Graduate School of Arts and Sciences, and graduate students in the professional schools for summer research in East and Southeast Asia. In general, applications from international students proposing research projects in their country or origin are ineligible. Research should focus on the impact of technology transfer processes between Asia and the West and/or among East and Southeast Asia, and the social, cultural, and political transformations in these regions. Grant requests of up to $5,000 to support field research, summer internships or other creative projects in Asia will be entertained. Priority will be given to students with demonstrated long-term academic commitment to and professional preparation for work in East or Southeast Asia, who have already acquired the necessary level of language proficiency to complete their proposed research work, or who need substantial first-hand exposure to Asia to complete a course of academic study. The European Studies Council at the MacMillan Center invites applications for the Keggi-Berzins Fellowships for Baltic Studies. Prizes of up to $2,000 will be awarded to current Yale undergraduates and graduate students for research or language study in or about a Baltic country. Pre-dissertation and dissertation grants are available for PhD candidates who wish either to determine the feasibility of a dissertation topic or conduct research on that topic. Grants are also available to ES and IR Master’s students at the end of their first year of study. Students in the professional schools are also eligible to apply. The Latin American and Iberian Studies Travel Grant is open to Junior undergraduates and graduate students who plan to conduct research or study abroad in Latin America, the Caribbean, Portugal or Spain. Not applicable for language training, internships or service projects. Awards are typically $500-$750, and are intended to help defray travel costs only. Because of very limited funding available, applicants are encouraged to seek additional funding or matching grants. The Georg Walter Leitner Program in International and Comparative Political Economy invites applications from graduate and undergraduate students at Yale University whose work focuses on international political economy. Dissertation funds are available for Ph.D. candidates for research on approved dissertation topics. The Leitner Program also supports graduate student training relevant for the study of political economy. Funds are also available for senior essay support for undergraduates whose essays will focus on some aspect of comparative or international political economy, and for travel fellowships for undergraduates at any level to explore some aspect of the field. The latter may be used to support an internship or a research project. Grants are up to $5000. The European Studies Council at the Whitney and Betty MacMillan Center for International and Area Studies at Yale invite applications for the Clara Levillain Prize competition. Grants are available to students beginning research on a project with a strong and direct connection with French language or culture. The Prize is made possible through a gift from the family of Clara Levillain. Lindsay Fellowship for Research in Africa supports grants to graduate and professional students for summer research in order to increase understanding of Africa among Yale students and faculty. Highest priority will be given in the following order: (1) graduate and professional school students; (2) junior faculty. Only those returning to Yale in the semester following the award are eligible to receive an award. One or more fellowships of up to $3,000 will be awarded for summer travel and field work expenses in Africa for relevant research, study projects, internships or conferences (paper presentation at conference required). MacMillan Center International Conference Travel Grants are available to Ph.D. students in programs in the Humanities and the Social Sciences, and to select Ph.D. programs in the professional schools that could have a humanities or a social sciences dimension to present at recognized professional domestic or international conferences on an international topic. Awards are up to $500 for Ph.D. students (before the prospectus is approved) and up to $750 for Ph.D. candidates (after the prospectus is approved). Henry Hart Rice Foreign Residence Fellowships provide support for Yale students in the humanities and social sciences to conduct individual study and research for 9 to 12 months while in residence in a foreign country that is experiencing strained relations with the United States. At present, eligible are countries of Africa, Central Asia, the Caucasus, Eastern Europe that are not members of the EU, Russia, Latin America, the Middle East, South and Southeast Asia as well as the People’s Republic of China. Excluded are most of the traditional friends and allies of the U.S., including Canada, Japan, South Korea, Australia, New Zealand, and countries that are members of the EU. Eligible are undergraduates who have completed at least two years of course work, including graduating seniors; graduate and professional students who have permission from their Director of Graduate Studies to take a year’s leave of absence for this purpose; and graduate students at the conclusion of a terminal master’s program. The fellowship stipend may cover most or all travel and living expenses in the host country; generally one award is made. Rustgi Fellowships. The South Asian Studies Council offers Rustgi fellowships for summer research grants to students with a demonstrated commitment to the field of South Asian studies. The fellowship is made possible through a gift from Anil Rustgi (Yale ’80), Vinod Rustgi (Yale ’75) and his wife, Eileen Boyle Rustgi (Yale ’77) in honor of their parents, Moti Lal and Kamla Rustgi. The general purpose of these grants is to increase understanding of the region among Yale students. Although graduate students may apply, preference will be given to undergraduates. Graduate students seeking support for field research or language study should apply for a Smith Richardson Foundation (SRF) Graduate Research Fellowship. Awards are made for the summer, semester, or academic year, and are open to current Yale graduate students conducting research in the fields of international, diplomatic, and military history or strategic studies. Visit http://iss.yale.edu/programs/yale-student-grants for more information. South Asian Studies Program Travel Grant for Graduate Students. The South Asian Studies Program Travel Grant provides travel support for Yale University Graduate Students to attend and/or participate in South Asian Studies workshops, conferences and meetings on topics in South Asian history, politics, economics, languages and culture in the United States and internationally throughout the academic year as well as during the summer. The competition is open to graduate students in all disciplines. Funds are administered by the South Asian Studies Council at the MacMillan Center. Awards, generally range from $500 to $1,000 and can be applied to travel and room and board. Priority will be given to students with demonstrated academic commitment to South Asia. South Asian Studies Summer Research and Language Study Awards for Graduate Students. A limited number of awards for qualified graduate students who wish to conduct pre-dissertation summer research or immersion language study in South Asia that is relevant to their doctoral work at Yale. Students should be full-time registered PhD students in the Yale Graduate School working for a degree in an Arts and Sciences Department, or Professional School, who are planning to conduct dissertation research in South Asia and write a PhD thesis on South Asia. To be considered for this award they should be applying for funding to support some aspect of a pre-dissertation summer in South Asia. This could include immersion, advanced, study of relevant languages in India through an established and recognized language program; preliminary research, data collection, and research site identification for field based research in humanities, social sciences or professional specialties; or some combination of these purposes. Funds are administered by the South Asian Studies Council at the MacMillan Center. A small number of awards, ranging from $2000 to $5000 each, will be made. Southeast Asia Studies offers a limited number of research-related grants to students with a demonstrated commitment to the field of Southeast Asia studies. Grants support language training, masters thesis summer research, pre-dissertation field research, and small supplements that may be required to bring a research project to fruition. Any graduate or undergraduate student currently enrolled at Yale may apply. Awards up to $3,000. The Tinker Field Research Grants. The Tinker Field Research Grants are awarded for use for travel and field-related expenses for brief periods of pre-dissertation field research in Latin America. Grants are awarded to graduate students with litle or no previous experience in Latin America and are not to be used for dissertation research. Applications for projects that focus on economic policy, governance, environmental policy, and public policy are strongly encouraged. Click here for more information. Yale – Sanergy Internship: Sustainable Sanitation in Nairobi’s Urban Slums. Sanergy is an award-winning social venture in Nairobi, Kenya that builds healthy, prosperous communities by making hygienic sanitation accessible and affordable in Africa’s urban informal settlements. Our systems-based approach to solving the sanitation crisis involves five key steps: we build a dense network of franchised micro-entrepreneurs, who operate low-cost, high-quality waterless sanitation facilities – called Fresh Life – as small businesses. We provide critical support services – such as access to finance, business analytics, training and aspirational marketing and branding. We collect the waste regularly and safely remove it from the community. We convert the waste into valuable by-products, such as organic fertilizer and animal feed. Finally, we sell the byproducts to Kenyan farms.